Skytrax has released its annual world airline star ratings, ranking airlines by the quality of their front-line product and service standards. Nigeria’s Arik Air made 3-star ratings alongside 119 other airlines in the world. Arik Air is the only rated Nigerian airline. According to Skytrax website, “The 3-Star Airline Rating is awarded to airlines delivering a fair Quality performance that conforms to an industry “average” of acceptable product and service standards. South Africa Airways, Air Mauritius, Royal Air Maroc, Air Seychelles were rated 4-star, while six Asian airlines and one Gulf carrier were rated 5-star. Other African airlines in the 3-star category are: Air Algerie, Ethiopian Airlines, Kenya Airways, Egypt Air, Air Namibia, LAM Mozambique Airlines, TAAG Angola Airlines. Meanwhile, four African airlines made the 4-star ratings , South African Airways, Air Mauritius, Royal Air Maroc and Air Seychelles. The much enviable 5-star ratings has ANA All Nippon Airways(Japan), Asiana Airlines (South Korea), Cathay Pacific Airways(Hong Kong), Garuda Indonesia (Indonesia), Hainan Airlines(China), Qatar Airways and Singapore Airlines in the category. “The ultimate Quality Approval, this 5-Star Airline rating is awarded to airlines achieving the highest, overall quality performance. The 5-Star Airline rating recognises high standards of airport and on-board product, together with consistent and high standards of staff service delivery across both the airport and cabin service environments. This prestigious 5-Star Airline rating recognizes airlines at the forefront of product and/or service delivery excellence,”Skytrax said. Central and West Africa’s largest airline will commence scheduled flight operations from Lagoa, Nigeria to the Ivorian city via Cotonou, Benin Republic. The new service will begin operation on February 16, 2015, and will operate four-times weekly on Mondays, Wednesdays, Fridays and Sundays. The route will be operated using Arik Air’s Bombardier CRJ900 aircraft configured with 10 Business Class and 64 Economy Class seats. On Mondays, the outbound flight will depart from Murtala Muhammed International Airport, Lagos at 14:45pm arriving into Cotonou International Airport at 15:15pm. The flight then departs Cotonou at 16:00pm and arrives at Felix Houphouet Boigny International Airport, Abidjan at 16:20 pm. The return flight departs Abidjan at 17:05pm arriving into Cotonou at 19:25pm. The return flight leaves Cotonou at 20:10pm and arrives in Lagos at 20:40pm. On Wednesdays, Fridays and Sundays, the outbound flight departs Lagos at 11:15 am, and arrives into Cotonou at 11:45am. It will then depart Cotonou at 12:30pm arriving into Abidjan at 12:50pm. The inbound flight departs Abidjan at 13:35pm and arrives into Cotonou at 15:55pm. The return flight departs Cotonou at 16:40 pm to arrive in Lagos at 17:10 pm. The Lagos – Abidjan service is Arik Air’s first new route in 2015, and marks the airlines seventh destination in West Africa. Abidjan is the economic centre and former official capital of Cote d’Ivoire and the third largest French speaking city in the world, after Paris and Kinshasa. The city is considered a cultural hub of West Africa and is characterized by a high level of industrialization and urbanization. Arik Air is West-Africa’s leading airline operating a domestic, regional and international flight network. It operates mainly from two hubs at Murtala Mohammed International Airport, Lagos and Nnamdi Azikiwe International Airport, Abuja. Emirates, a global connector of people and places, and Arik Air, West Africa's leading airline, have signed a Memorandum of Understanding (MoU) to develop and expand their existing commercial relationship and explore further areas of co-operation. The two airlines currently have a one-way interline agreement, whereby Emirates passengers are connected throughout Nigeria and West Africa via Arik Air's current domestic and regional network. Emirates' Divisional Senior Vice President, Planning, Aeropolitical and Industry Affairs, Adnan Kazim signed for Emirates, while Arik Air's Managing Director, Chris Ndlulue, sign for his company. Speaking after the signing, which took place at Emirates Group Headquarters in Dubai, Kazim said the two airlines have expressed interest in exploring ways to expand on their existing commercial relationship and to look at different areas in which they can cooperate. Kazim: "Both Emirates and Arik Air have expressed interest in exploring ways to expand on our existing commercial relationship and to look at different areas in which we can cooperate that will be mutually beneficial to both airlines, such as seamless connectivity for Emirates' customers to destinations in Nigeria and other central and western Africa counties via Arik Air's hubs in Abuja and Lagos, and for Arik Air's customers to Emirates worldwide network via our hub in Dubai." "The parties also intend to explore the potential of code share arrangements as passenger traffic flows mature between both parties' networks," he added. Also commenting on the MoU, Ndlulue said Arik Air was delighted to partner with Emirates. He said: "Both airlines share a similar vision of convenience and safety for our customers. While Arik Air is happy to open its network in Nigeria and West Africa to Emirates passengers, we are excited at the vast worldwide network of Emirates being made available to Arik Air's passengers. The invaluable cooperation between the two airlines offers a lot of synergy to both airlines in achieving their objectives." Under the MoU, Emirates and Arik Air will also explore other areas of cooperation for the future, including frequent flier programmes, passenger and cargo handling. Nigerian Arik Air is the largest airline in Western and Central Africa and has developed and successfully operates an extensive domestic route network in Nigeria, and regionally across Western Africa from its twin hubs in Lagos and Abuja and Johannesburg in South Africa. It also operates intercontinentally to New York and London from its Lagos hub. Emirates is one of the world's leading international airlines and flies to more an 140 destinations in 81 countries across six continents. It operates the world's largest fleet of Boeing 777 aircraft and Airbus A380s. Arik Air said its best is yet to come as the airline relishes the Organisation of the Year award bestowed on it by the African Achievers Award in Accra, Ghana. The awards ceremony held at the Presidential Banquet Hall, State House, Accra, Ghana on February 28 was attended by African diplomats and State Governors from Nigeria. According to the Managing Director of Arik Air, Mr. Chris Ndulue, the Organisation of the Year Award is a true testimony of the rare and unique people-centric leadership qualities which the airline has displayed so far in the aviation sector across the globe as noted by the organizers. "This award further confirms the place of Arik Air as not just West Africa's premier airline but also the pride of Africa. Though Arik Air is a recipient of several national and international awards, every award reminds us of our commitment to continue to provide safe and comfortable air-travel experience for our teeming guests within Africa and across the globe," Mr. Ndulue noted. He stressed that Arik Air will continue to strive to ensure that it transforms air transportation not only in Nigeria but the whole of the African continent. "This was the reason why we decided to change the old order in 2006 by operating brand new aircraft thus becoming the first operator of new aircraft in Nigeria in almost two decades. "The African Achievers Award is a call to do more and we at Arik Air will continue to improve on those qualities that have earned us this recognition because we believe that our best is yet to come. In the months ahead, we are going to be launching new routes as we strive to consolidate our position as the first choice for air travel within Nigeria and other destinations we serve in Africa, Europe and America," the Managing Director stressed. Delta Air Lines this summer will continue its expansion at Los Angeles International Airport with new daily nonstop service to Austin, Texas, and Boise, Idaho, along with new daily nonstop service to San Salvador, El Salvador, pending government approval. Delta also has filed for approval to begin daily service between Los Angeles and Monterrey, Mexico. "With direct access to all of the key U.S. tech markets as well as additional Latin service through our gateway at LAX, we can continue to provide business and leisure customers with the best service options to meet their travel needs,"said Delta's senior vice president - Network Planning, Bob Cortelyou, "Los Angeles is a key market for Delta as we continue growing our presence on the U.S. West Coast." Service from Los Angeles to Austin and San Salvador will be operated using Delta Boeing 717 and Boeing 737 aircraft, respectively. Service from Los Angeles to Boise and Monterrey will be operated by Delta Connection carrier Compass Airlines using two-class, 76-seat CRJ-900 aircraft. With new service to Austin, Delta will now connect Los Angeles' growing Silicon Beach tech and startup community with all the major tech centers in the United States, including: Boston, beginning June 5; New York; Oakland, Calif.; Portland, Oregon; Salt Lake City; San Francisco; San Jose, Calif.; Seattle; and now Austin. Additionally, customers in Austin, Boise, Monterrey and San Salvador will soon have one-stop service to Tokyo-Narita, Tokyo-Haneda, and Sydney through Delta's international gateway in Los Angeles. Delta has made significant enhancements to its Los Angeles service both on the ground and in the air in the last few years. Travelers through Los Angeles will enjoy the benefits of the $229 million expansion and enhancement of Terminal 5 at Los Angeles International Airport. The current project will double the size of the ticketing lobby and screening checkpoints, open an exclusive, separate Sky Priority lobby and checkpoint, and include renovations to the Delta Sky Club and new baggage carousels. The project has already begun and is scheduled to take place in several phases with full completion in 2015. Delta currently operates 130 flights to 43 destinations from LAX, and every flight offers BusinessElite/First Class and Economy Comfort seating. By this summer, Delta will operate more than 140 peak-day flights to LAX, including our new service. Nearly every domestic flight features Wi-Fi service. Security Wathch Africa's Board of Trustees, Executive Committee and 2011 Awards Pnel of Judges after a careful examination of all airline's records have awarded Airk Air to be the most safety and security conscious airline in nigeria and West Africa. The judges tool into consideration the operational date of all airlines operating in West Africa in general and Nigeria in specific. Arik air's unfiltered commitment in implementing its security and safety operations as well as its compliance to the standards of International Civil Aviation Organisation (ICAO) has been the major factor in the airline bagging the award. The award will be presented to the airline later today in Gambia. This is part of the 8th Security Watch Africa Awards. Arik had also bagged the same award for 2007/2008. The airline in a statement said they have invested heavily in screening equipment and are reportedly the only airline that has independent screening of passengers before departure. Arik Air with its new roués innovative strategies, and safety and security awareness seems to become the next big thing in Africa. this in a statement released to aviation correspondents in Lagos on Friday. He said that the meeting, to be held between 25 and 29 August in Montreal and in Charlevoix, Quebec, Canada, would be attended by three other partners of Bombardier. The President of Bombardier Commercial Aircraft, Mr. Mike Arcamore, would lead the Bombardier delegation while Arik Air Chairman, Sir Joseph Arumemi-Ikhide, would head the Arik Air team to the meeting. The meeting would also unveil the new Premier CSeries (Bombardier’s Next Generation aircraft) in Charlevoix, Quebec, the statement said. According to Ola, 'participants will also deliberate on how they could collaborate on the establishment of maintenance facilities, support services, training and exchange of personnel. Similarly, the future aircraft order by Arik Air would also be on the agenda of the five-day meeting, the statement added.. The statement added that Arik Air has become one of Bombardier’s biggest customers in Africa. Arik Air and Bombardier Aerospace have had a long standing business relationship, dating back to 2006 when the Arik Airline took delivery of three new Bombardier CRJ900 aircraft. The Nigerian airline is the first in Africa to operate the Bombardier CRJ900 and the Q400 aircraft. It currently operates four CRJ900 and two Q400 aircraft. Source Africa News. In April 2006, Arik Air was born, supplanting Nigeria Airways Limited in Lagos. The first commercial vehicle to fly was the Bombardier CRJ 900 aircraft, and by December 2008, the Airbus A340-500 was launched, flying between Lagos and London’s Heathrow. The Airbus was unique to Arik Air’s arsenal of planes because it offers flat beds and 17-inch monitors for its first-class passengers. In addition, these planes have a communal space, providing a nice change of scenery for bored and weary flyers with its sofas and bar lounge. By 2009, Arik Air expanded service on the continent from Lagos to Sierra Leone, Senegal, Ghana, Liberia, and the Gambia and also holds the distinction of being the only nonstop flight between New York and Nigeria. Today, Arik Air serves 21 locations in Nigeria and 33 locations without. Since its inception, the airline company has won the International Quality Summit Award for Excellence and Business Prestige and the Best Security and Safety Conscious Airline in Nigeria. 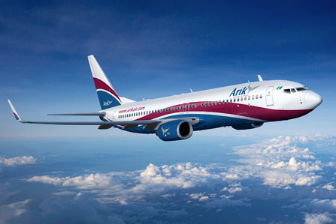 NewsOnespoke with Vice President of Arik Air’s America division Robert Brunner about why the airline carrier soars above its competitors and whether it is true that one can get a bite of authentic African cuisine en route. NewsOne: How important are passengers to the company? Robert Brunner: Customers are of the utmost importance to Arik Air. Without passengers, we don’t have a business. Our focus is customer safety, security, and comfort. Everything we do — from safety and security to catering and marketing — is done with the customer at the forefront of our thinking. We want to provide our passengers with the best possible experience with each and every interaction they have with Arik Air. NewsOne: How does Arik distinguish itself from other airplane carriers? 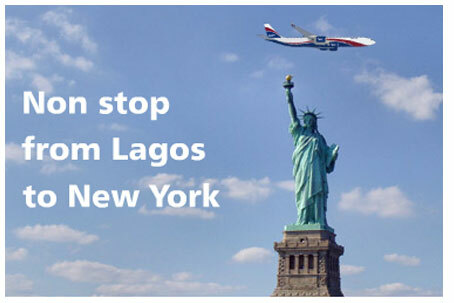 - We are the only airline to fly from New York JFK non stop to West Africa. - Arik Air is the biggest and fastest-growing airline in West and Central Africa. We have won numerous safety awards, including receiving the award for Best Security and Safety Conscious Airline in West and Central Africa three times consecutively by Africa’s foremost security and safety magazine, Security Watch Africa. - Arik Air has the youngest fleet in the industry. - The airline boasts the most legroom of any airline flying to West and Central Africa. - Arik Air is the only airline offering same carrier connections domestically in Nigeria. NewsOne: What future plans does Arik have, i.e., expansion, upgrades? RB: Arik Air continues to grow, having just added flights to Cotonou, Benin, from Lagos and Dakar, Senegal, from Abuja. We also have numerous aircrafts on order to support future growth plans, including possible expansion to the Middle East (Dubai). NewsOne: Why should travelers select Arik Air? RB: Along with the items raised previously about why we are different from other airlines, from the first time a passenger steps on to our aircraft they begin to experience the best that Africa has to offer, including African cuisine, Nollywood films, African music, and African flight attendants, with a natural understanding of African culture. After all, with sky-high fuel costs, plummeting budgets and increasing bankruptcies, the global aviation industry is driven more by the bottom line and less by emotion. Yet when it comes to Nigeria, the bottom line seems bleaker still. From 2002 to 2006, the country was plagued by a series of tragic plane crashes which took hundreds of lives and eroded consumers' ability to trust their domestic airlines. Global brands like Virgin have tried -- and failed -- to reverse this misfortune by partnering with the Nigerian government, as they did in September 2004 to launch a flag-carrying airline. Minted Virgin Nigeria Airways, the partnership never quiet took off, and by September of 2009, it was over. Stakeholders re-branded the airline as Nigerian Eagle Airlines, and upon buying majority ownership in 2010 Jimoh Ibrahim renamed it Air Nigeria. New names didn't solve Air Nigeria's old problems, and the airline remained dogged by safety issues, culminating in its grounding in June 2012. Yet these pale in comparison to Lagos-based Dana Air, the airline behind the tragic plane recently, which led to over 150 deaths. In such an environment there's no reason nor logic nor business plan that would move a sound investor to launch an airline in Nigeria. Nothing really. Except for love. It was was a love of country that inspired engineering magnate Sir Joseph Arumemi-Ikhide to, as he tells it, "return Nigeria to its rightful place, as a leading aviation market." To that end Ikhide purchased two Bombardier CRJ aircraft in 2006 and hired staff to fly the popular route between Nigeria's old and new capitals, Lagos and Abuja. These were the first new planes to be flown in Nigeria in 20 years. Beyond being a point of pride for the upstart airline, it served a very practical purpose for Nigeria's domestic fliers who at the time numbered over six million. (Reports show that by 2011, that figure skyrocketed to 12 million.) In the years since, Arik Air's fortunes and presence have equally grown. In technology, they are leaders not just in Nigeria -- but on the world stage. Their use of the prestigious monitoring service Lufthansa Technik AG, the leading independent provider of maintenance for aircraft, is a first not just for Nigeria but the African continent as a whole. That dedication to safety has served Arik well in their rapidly expanding roster of locations, which has far surpassed their inaugural route to include several cities in sub-Saharan Africa, the U.S. and England. It's also earned them back to back awards from Security Watch Africa as the Best Security & Safety airline in Nigeria from 2007 to 2009. The net result has been an aggressive growth in Arik's market share, which the Nigerian Civil Aviation Authority confirms is at 58% and rising. The rapid rate at which Sir Arumemi-Ikhide has accomplished the above is not lost on him. "What has been actualized has outstripped my vision for this airline," he says in our exclusive interview. "If someone told me on our inaugural flight day (29 October 2006), with one aircraft and one route and a handful of staff, that just over five years later we would have grown to a fleet of 23 aircraft, deployed on 44 routes with over 130 flights daily being run by a staff of over 2,500 worldwide I would not have believed it. That's not to say that was not my ambition, it is just the sheer pace of how it has grown that has been breathtaking." The success has firm foundation in Ikhide's most impressive investment of all: his workforce. Arik Air has placed its onus on hiring and developing top notch pilots within the country. Key to this plan is grooming female captains, of which Arik currently has over a dozen. Despite its pro-Nigeria philosophy, the carrier also values a diverse staff and has employed several esteemed airline professional from Europe and the U.S. to develop the growing airline. Chief among these is Bob Brunner, Arik Air's affable, honest and straight-shooting Vice President of Americas. With over 30 years experience at British Airways, where he started from the ground up and rose to executive ranks, Brunner is a seasoned vet in the industry. The native New Yorker he has a remarkable understanding and passion for the Nigerian market which serves him well in his task of building Arik's presence in the U.S, and specifically the New York market. "Nigerians are proud of their heritage and our owners want the airline to be a point of national pride." says Brunner. "[We want] a business that shows Nigerians can run a global, service-oriented business which can successfully compete with the well-known airline brands. A business all Nigerians can be proud to look at and say 'That's my National Airline.'" Such insight will be key in overcoming current challenges that dull Arik Air's competitive edge in the U.S market. These include developing programs and technologies that are standard to a New York audience such as online check-in, partnerships with international carriers and frequent flyer programs. "We are very focused on constant improvement," asserts Brunner. "We know when we made the decision to fly to London, New York and Johannesburg we would be a five-year-old airline competing with companies with more than 50 years experience. We couldn't possibly have all the infrastructure developed that they had and thus all the same offerings. We are focused on those things that will have the most impact -- give the customers the most benefit. Even as we are today, Arik provides the best travel experience from JFK to Lagos of any airline. " Brunner's sentiment may be subjective, but it proved truthful on my recent flights between New York and Lagos. From first class to the economy cabin, the craft was clean, modern and boasted a decor that lovingly paid homage to Nigerian culture.The Lagos-based crew was friendly and attentive as they graciously welcomed guests aboard. Mealtime was a cultural celebration with a menu that offered Western style dishes but highlighted Nigerian specialties like joloff and okra soup. On both routes, the hundred-plus customers who packed the flight exuded greater to lesser degrees of joy over the experience. But whether reclining in Arik's luxe first class cabin, chatting over cocktails at the in-flight bar, or mingling in spacious economy seats, no one was indifferent. Superior service and a sense of cultural and national pride peppered the experience Arik created for these customers. It was something that was entirely lacking in subsequent flights I took on other national airlines like Air Nigeria and Aero Charter. At the end of the flight as I observed sleepy-eyed, satisfied customers greet attendants good-bye and their final destination hello, one thing was clear about Arik Air: love may have everything to do with it after all. Arik Air is a Nigerian airline with its main base at Murtala Muhammed International Airportin Lagos, and a secondary hub at Nnamdi Azikiwe International Airport in Abuja. In 2006 Arik Air took over the assets of the bankrupt national airline Nigeria Airways, and today the airline offers domestic, regional and intercontinental services to destinations in North America and Europe. Arik Air is the largest operator in Nigeria. By Capa Aviation.